This, my friends, is synergy. Who better than a band called the National to trumpet their political beliefs on a t-shirt — an American Apparel t-shirt — titled after one of their finest songs? 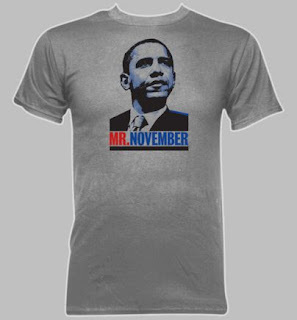 Obama may indeed be Mr. November come fall (McCain, of course, being in a Sinatra-like September of his years), but really it’s just refreshing to see a band take a hit by donating the price of the t-shirt to his campaign instead of exploiting his image. Buy it here.